What does Swell pass to Sailthru? Integrating your Sailthru account with your Swell account requires an integration-specific 3rd party API Key and Secret. Once your accounts are linked, Swell will pass program-related data to Sailthru via profile vars custom events. Best practice: Use a different Sailthru-provided 3rd party API Key and Secret for each integration. Contact support with your request. 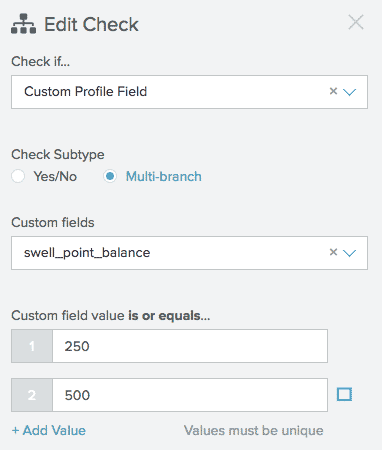 For more information on integrating your Swell account with your Swell account, see the Swell documentation. Once you receive your Swell-specific Key and Secret, head to the Settings section of your Swell account, select Sailthru from the dropdown menu in the Integrations section, and enter your API Key and Secret in the dialog box. 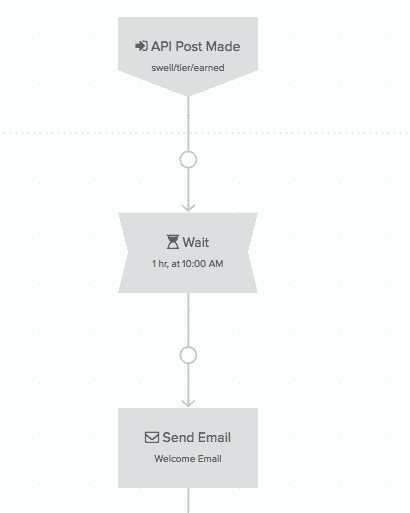 Swell passes program-related data to Sailthru via profile vars and custom events. 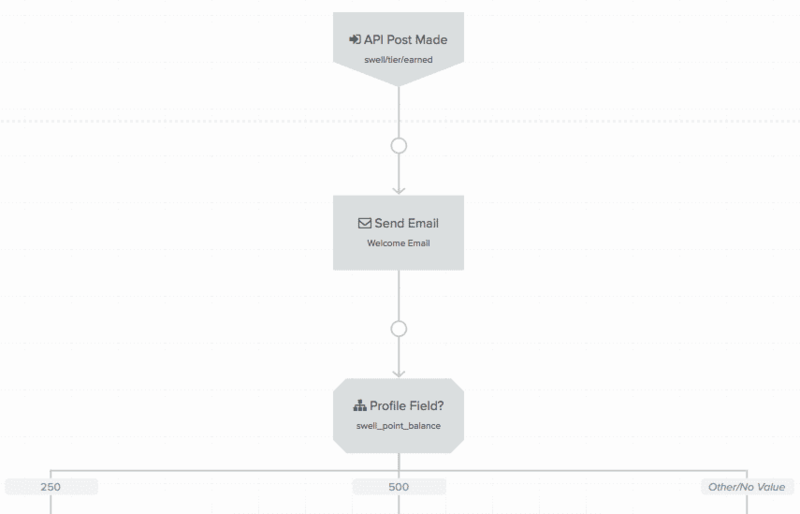 Use Swell profile vars and custom events as Entries or Checks for Lifecycle Optimizer flows. Use custom events to trigger Lifecycle Optimizer flow Entries or Checks. Use Swell custom events as Entry points into Lifecycle Optimizer flows, and both custom events and profile vars as Checks in a flow. For information on setting up a Lifecycle Optimizer flow, see the Build a New Flow documentation. 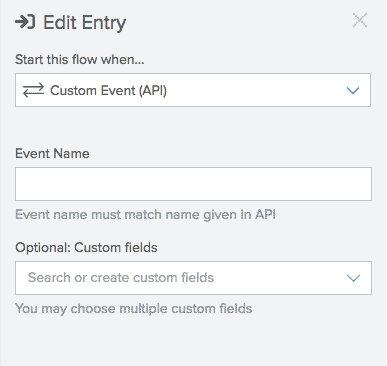 When you’re setting up a Lifecycle Optimizer flow, use a Custom Event as your Entry. For example, use the swell/tier/earned custom event to send your users a message when they reach a new tier. Use a Check for custom var values on a user’s profile to trigger an action, like sending an email.